Do you need letters that look like they are drawn with a brush so that your creative work shines and stands out? 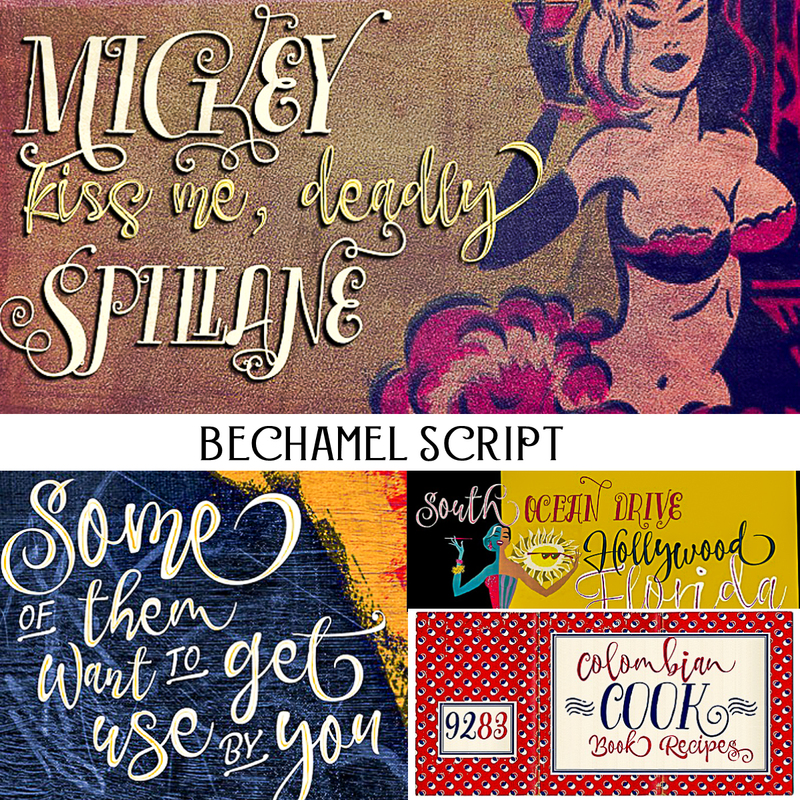 We present Bechamel, a family of script fonts designed to be combinable with Bechamel Roman. 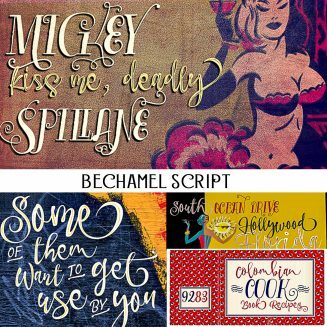 Bechamel Script was hand drawn to design words and phrases in logos, packaging, posters, envelopes and greeting cards. Tags: cursive, lettering, ligature, script, script font, signature, swirl.